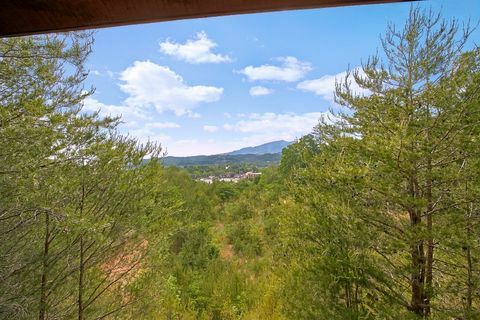 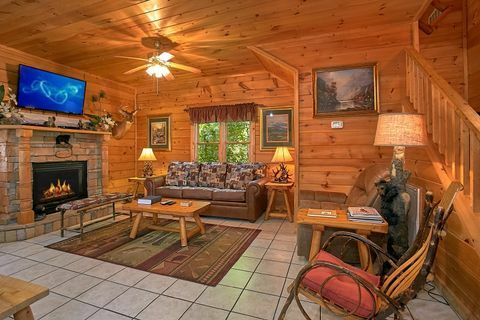 "Simply Irresistible," a spacious 2-bedroom cabin in Pin Oak Resort Pigeon Forge, offers vacationers to the Smokies a chance to enjoy a comfortable cabin that's close to all the action! 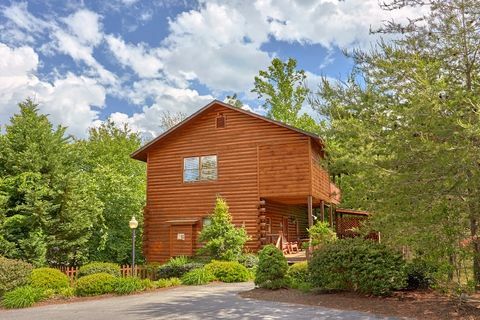 Your log cabin accommodates up to 8 guests comfortably and rests within walking distance of big Pigeon Forge attractions such as Wonderworks, Titanic, and Hatfield McCoy Dinner Show. 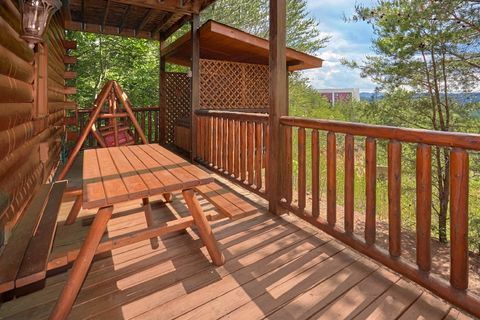 This makes this cabin perfect for guests who want to experience all that this mountain town has to offer. 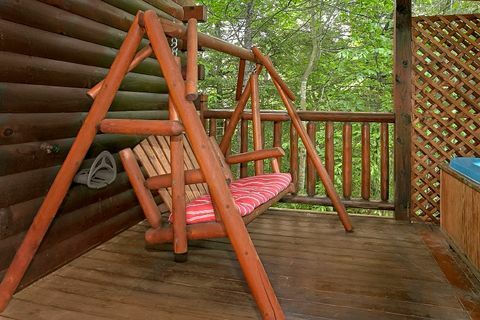 If you’re looking for fun and games at your cabin, there are plenty of opportunities both inside and outside. 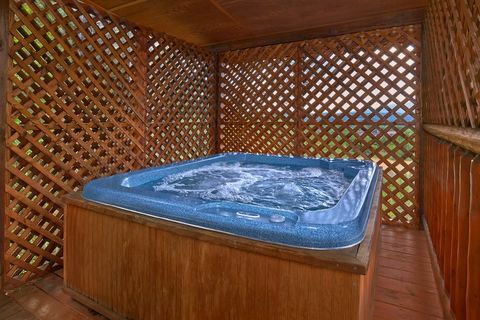 The family will enjoy hours of outdoors fun in this "Simply Irresistible" cabin’s year-round hot tub overlooking awesome views of the mountains. 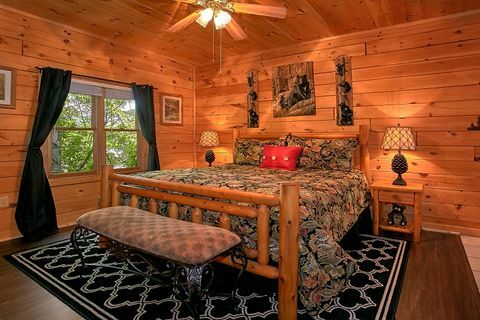 You'll also enjoy the Pin Oak Resort Pigeon Forge's swimming pool where you can lounge with a good book and work on a tan in the summer. 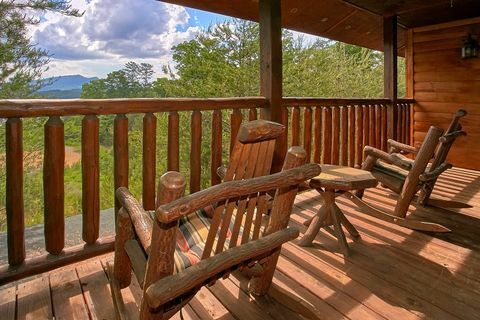 Back at your cabin, there are plenty of porch rockers and a porch swing on the deck to relax out in the mountain air. 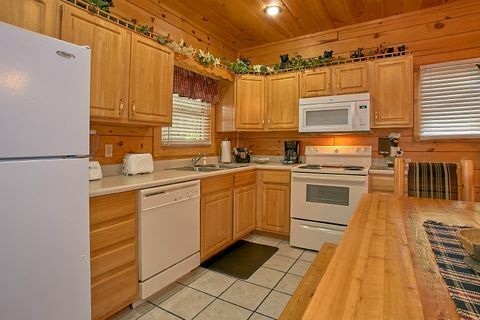 The charcoal grill invites guests to host a family barbecue. 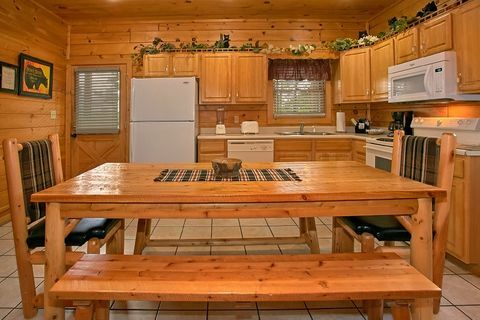 Inside this cabin in Pigeon Forge, the chef of the group can take advantage of the cabin’s dine-in kitchen to help save on meals and provide a quiet, relaxed atmosphere for sharing family meals. 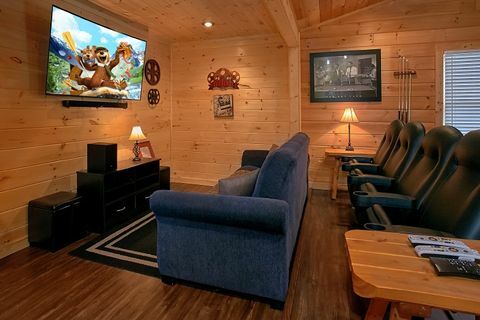 After dinner, children and adults can enjoy playing billiards or arcade games in the loft game room. 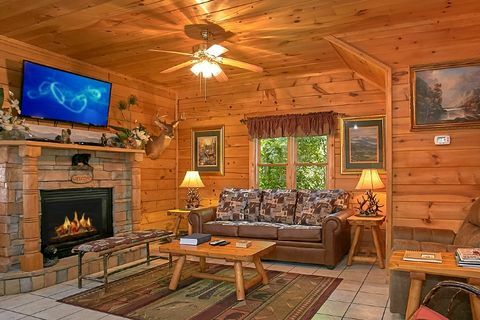 As the evening winds down, gather around the living room fireplace for some card games with the family. 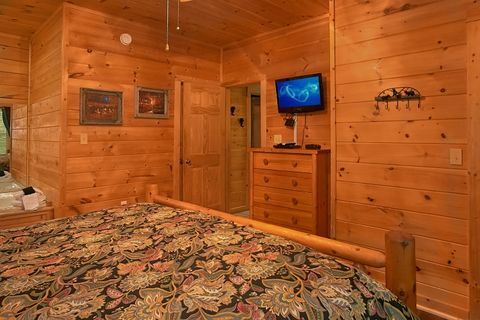 Your rental also comes complete with a media room for fun movie nights in the Smokies! 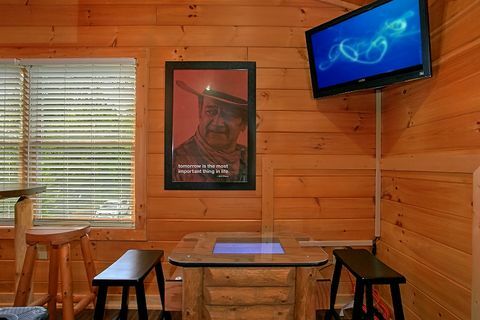 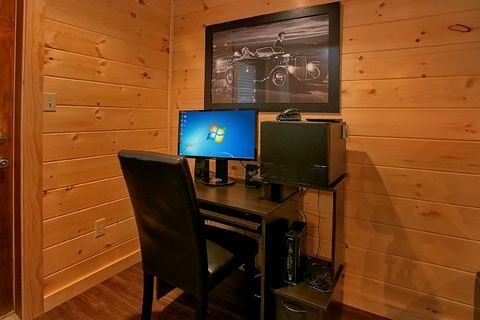 Additionally, your cabin comes with a computer, so you won't have to bring a laptop on your trip! 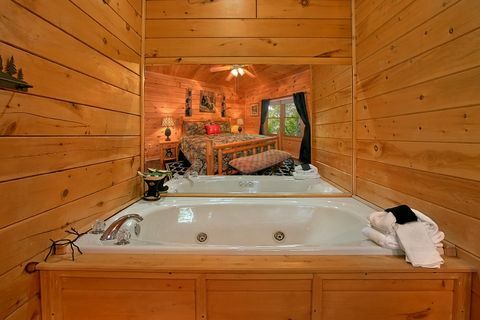 When you're ready to get some rest, you can retire to the master suite on the main level that offers a king-size bed, in-room jacuzzi for two, full bath, and a television. 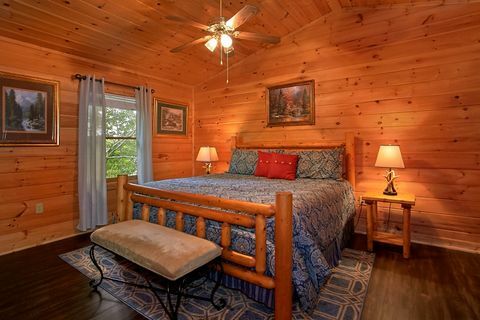 Upstairs, the second bedroom also has a king-size bed, full bath, and television. 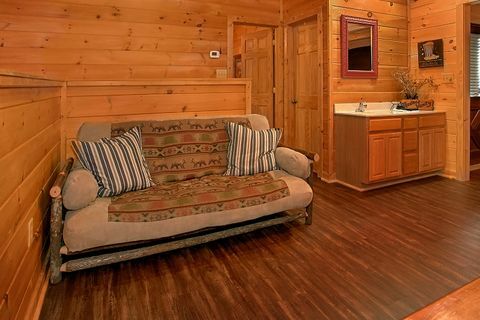 Additionally, a sofa bed in the living room and another sleeper sofa in the game room loft provide additional sleeping space for guests. 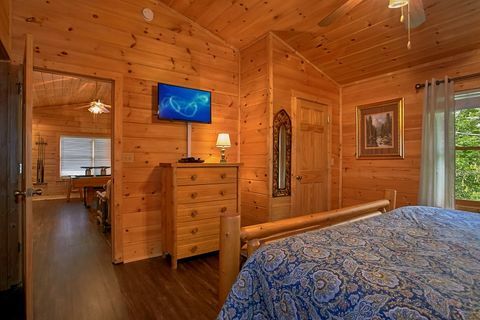 "Simply Irresistible’s" highly desirable Pigeon Forge location and superb amenities can make your cabin vacation in the Tennessee Smoky Mountains truly unforgettable. 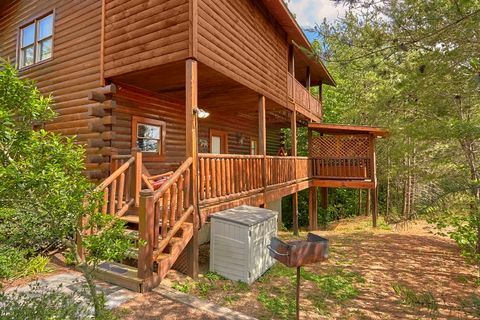 Book your Pin Oak Resort Pigeon Forge cabin ONLINE with Cabins USA and get an immediate Online Cabin Discount!